The radicalization of Muslims and Islamic institutions in the United States, Europe, and across the Islamic world has fostered a new generation of Islamist activists, many of them willing to use violence to achieve their aims. Unfortunately, due to sales rights restrictions, we cannot offer Radical Islam In America for sale in your country. The radicalization of Muslims and Islamic institutions in the United States, Europe, and across the Islamic world has fostered a new generation of Islamist activists, many of them willing to use violence to achieve their aims. In Radical Islam in America, Chris Heffelfinger describes the development of the Islamist movement, examines its efforts and influence in the West, and suggests strategies to reduce or eliminate the threat of Islamist terrorism. 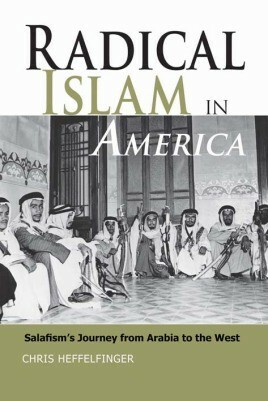 The book distinguishes Islamism (the fundamentalist political movement based on Islamic identity and values) from the Muslim faith and explores Islamists’ substantial inroads with Muslims and Muslim educational institutions in the West since the 1960s, as well as the larger relationship between Islamist political activism and militancy. Heffelfinger argues that the West has often mischaracterized jihadists as a nihilistic, irrational force desiring nothing but death and destruction. Instead, we need to recognize that Islamists are part of a much broader struggle over the political, social, economic, and legal direction of Muslims around the world. Our failure to understand the motives behind terrorist tactics has resulted not only in ineffective counterterrorism strategies but also in the proliferation of Islamist militants and sympathizers. Among the hundreds of terrorism-related arrests since 9/11, a large number were young, socially alienated Muslims who were moved by the jihadist message but not directed by jihadist networks overseas. That phenomenon—and the ideology behind it—is what Western society and governments must fully understand in order to construct a viable policy to confront it. This book will appeal to scholars and general readers interested in global politics, current affairs, Middle East terrorism, and counterterrorism.